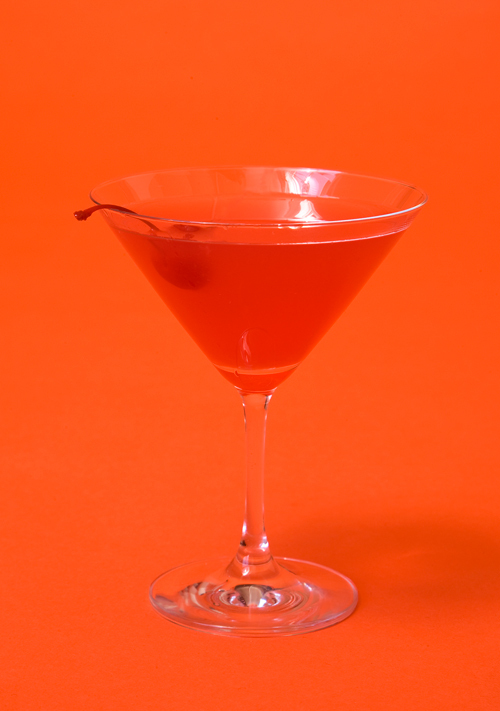 This could also be called a cherry-tini. It’s a gorgeous orangey-amber color and the bourbon and cherry give it a flavor almost like candy—but with a kick. Shake all the ingredients with ice and strain into a glass. Garnish with a cherry.